Discussing things Islamic, discussing things Modern in Western parlance to an audience, Western or Muslim or both. Or putting it differently: discussions to / about Muslims and to / about the West in Modern times. Since Modern times extends to all peoples in the contemporary, the audience includes us all. To deconstruct, to construct, to resurrect. So do we a Synthesis make? A Reform or Radical Revolution? Or perhaps an Evolution? Devolution? Craving Freedom? Augmenting the Status Quo? Conserving the Traditional contra Nationalist? An Ingenious Novelty or a Genuine Profundity? Towards the Truth we seek. They say the term was of Proto Indo-European origin, generated prior to the ancient writers, Homer and Hesiod. Derived from the word ‘think’ and cognate to ‘mind’, the term came to represent a set of powers (identified as goddesses) related to the sources of knowledge. Even as far back as Hesiod’s time, there were differences of opinion in terms of how many muses there were. Three muses or nine? Was this really a discussion as to the how to designate the various fields of knowledge that incorporate gnosis1,intellectus2 and aesthetics3? The Roman scholar, Varro named them as: Melete or Practice, Mneme or Memory and Aoide or Song4. There were other writers who also noted three muses but the precise identities differred5. 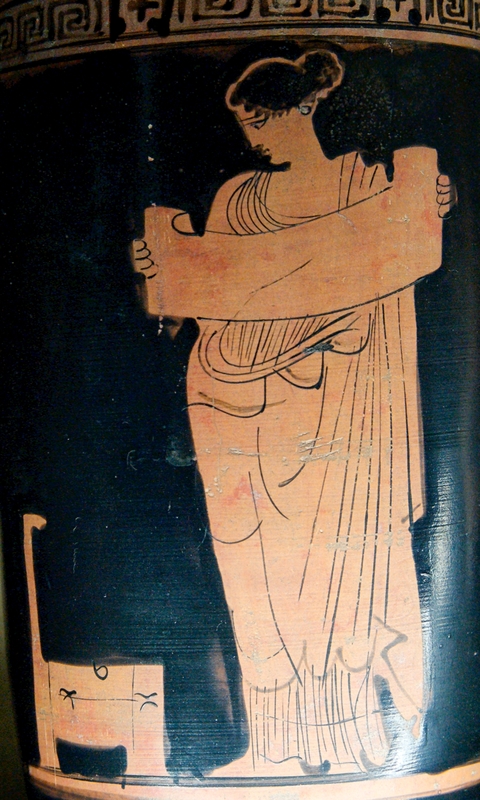 The identities of the nine muses was finalised by Roman times6. 1) The pre-12th century traditions of the Celtic poets. Celts are said to have come to Britain in the 700s BCE7. The Bards8 were poet-muses who recalled their ‘tribal warriors’ deeds of bravery’ as well as the ‘genealogies of the ruling Celtic’ elite through song. (See Bardic parallels with Pre-Islamic Poets, below). 2) The tradition of the medieval troubadours who celebrated the concept of ‘courtly love’. The English word “troubadour” is derived from the French word, ‘troubadour’, first recorded in 1575. 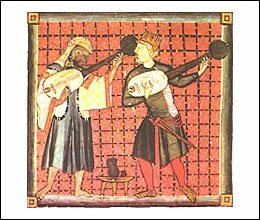 “They were a group of singer-poets who strummed songs on a love theme, first spread from Al-Andalus to southern France, and were influenced by a musical form of sacred Sufi Islamic tradition”9. A word on Sufism: it had a long history before its ‘institutionalization’ into devotional orders (tarîqât) in the early Middle Ages. Sufism or Taṣawwuf (Arabic: تصوّف‎) according to its followers is the inner, ‘mystical’ dimension of Islam. Sufis believe they are practicing ‘Ihsan’ (beauty / perfection of worship) as revealed by the angel Jibril (as) (Gabriel) to Muhammad (saw): “Worship and serve Allah as you are seeing Him and while you see Him not yet truly He sees you.” Classical Sufis were characterised by their “attachment to dhikr (a practice of repeating the names of God) and asceticism”10. 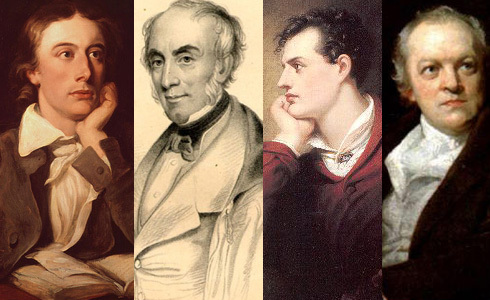 And 3) the Romantic Poets (of the 18th century CE). Romanticism was a “philosophical, literary, artistic and cultural” enterprise which began in the mid/late-18th century as a reaction against [neoclassicism and] the Enlightenment ideals of the day. Romantics favored more “natural, emotional and personal artistic themes”12. In turn, they influenced the poetry of their time. Romantic poetry is characterized by “individualism and subjectivity, emotion, and the pastoral.” There is a preoccupation with the poet as ‘genius’ and the ‘hero’s inner struggles and passions’. “Present knowledge of poetry in Arabic dates from the 6th century, but oral poetry is believed to predate that. …Poetry held an important position in pre-Islamic society with the poet (or sha’ir) filling the role of historian, soothsayer and propogandist. Words in praise of the tribe (qit’ah) and lampoons denigrating other tribes (hija’) seem to have been some of the most popular forms of early poetry. …The sha’ir represented an individual tribe’s prestige and importance in the Arabian peninsula, and mock battles in poetry or ‘zajal’ would stand in lieu of real wars. Alongside the sha’ir, was the rawi [reciter]. The job of the rawi was to learn the poems by heart and to recite them with explanations and probably often with embellishments15. 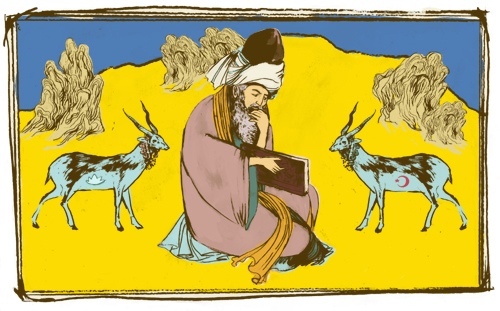 At some periods there have been unbroken chains of illustrious poets, each one training arawias a bard to promote his verse, and then to take over from them and continue the poetic tradition. There have been previous dispensations to the world from God via Prophets from the beginning of mankind on this earth till the Last Prophet. So happy news. This is so that mankind can know God and orient theimselves in the best way possible, to live Good and Godly lives. So happy news. That human-kind, over time, allow (with good intention or not) the altering of the pristine message to such an extent that another prophet must come to either renew the old teachings, refine it for a new circumstance or to set it up anew for a new tribe. All peoples have had people who were prophets. Whether, in posterity, they are remembered as such or at all, is another thing entirely. The Last Prophet came with the final articulation of this message via the Qur’an. His message is for all people and not meant for only his tribe. So happy news. This message will be intact until the End of Days. So happy news. After the death of the Last Prophet, it is the duty of each believer to articulate this message to all corners of the globe, to glory God and invite people to the Truth. The message is to assist our own selves in this life for this life and the hereafter. No-one is to be forced to believe it. That is essential. Only to be discussed, and reasoned out. Dis-belief is an option – albeit a fatally flawed one. So happy news. The Qur’an is poetical, potent and profound – but it is not poetry but like-poetry. Better and much more. So happy news. So with words of revelations that are charged with lightening bursts of like-poetry, music made lyrical, and power manifest in words; so with us, the every-man, charged to relay the Last Prophet’s message; how best if not to take on the mantle of the poet-muse, revive the spirit of the bard, to super-romantique in a post enlightenment, hyper positivist, cynical, ultra materialistic age? So with such happy news, how can you, I, we, a Muslim not be? – And not be a Muse’d? Why a Muslim Muse for now? See (my article on) ‘An Introduction to an Approach to Western Literature.’ I believe we need voices to articulate a way forward out of the darkening, en-closing air of a dis-enlightened world of the ‘ever newer’ modern barbarism. These voices must at this stage be poignant, concise, visionary and true. I also believe they must be rational, reasonable but not dry and cold; poetic and aesthetic, but not irrational. It is the renewal of reverence for that which intrinsically demands it; the want for the sacred for the One that Is; and the will for this endeavour for all our sakes as it has always been. 1 “Cognitive” (from Ancient Greek) leading to the word ‘knowledge’. Later, the word ‘Gnosis’ gained spiritual significance. 2 “Discernment, a perception, understanding” (from Latin) leading to its rationalist occupation. 3 (From German or French in the late 18th century CE) Utilising a Greek term aisthanesthai“to perceive (by the senses or by the mind), to feel,” (derived from a Proto Indo European ‘au’ (to perceive)), which best describes the ambit of ‘the arts’ (a proto indo European term for ‘manner, mode’) and the ‘sublime’. Wow! This is a great introduction. There is a lot of interesting and useful information here, which I will have to read again. Thanks for following my blog. Looking forward to reading more from you. Your thoughts and analysis are so interesting to read! You’ve introduced me to concepts that I was never before aware of, so thank you very much for sharing! Oh, thank you for your kind words 🙂 I’m so glad you found the ideas here of interest. Speaking frankly, I’ll do my best, God-willing, to keep infusing it with words, incisive, in sense, not incensed except with effusions of frankincense. Hee hee. Thanks for visiting my blog and the kind comments. It is go to see other Muslims out there that are interested in English language, literature, and poetry. I am enjoying your blog, MashaAllah. Keep it coming! This was a great read- good info. I feel like I know where you coming from. It’s marvelous that you are so informed and well read- it comes through in your writings. I will definitely visit your blog. Jzk for your nomination! I have no idea how this works so will have to check out your link in due course. 🙂 Wishing you the best inshallah! Wa alaikum as salaam sister. It’s me alhamdulillah. Please feel free to email modwestmuse@gmail.com. wow just wow, so glad you liked my poem! just skimmed over ur blog and love it already 🙂 tabarakAllah. Barakallahu feeki sister. Though your poem was hopeful, which is good and correct, there was a melancholic edge to it; that really gripped me. MashaAllah.